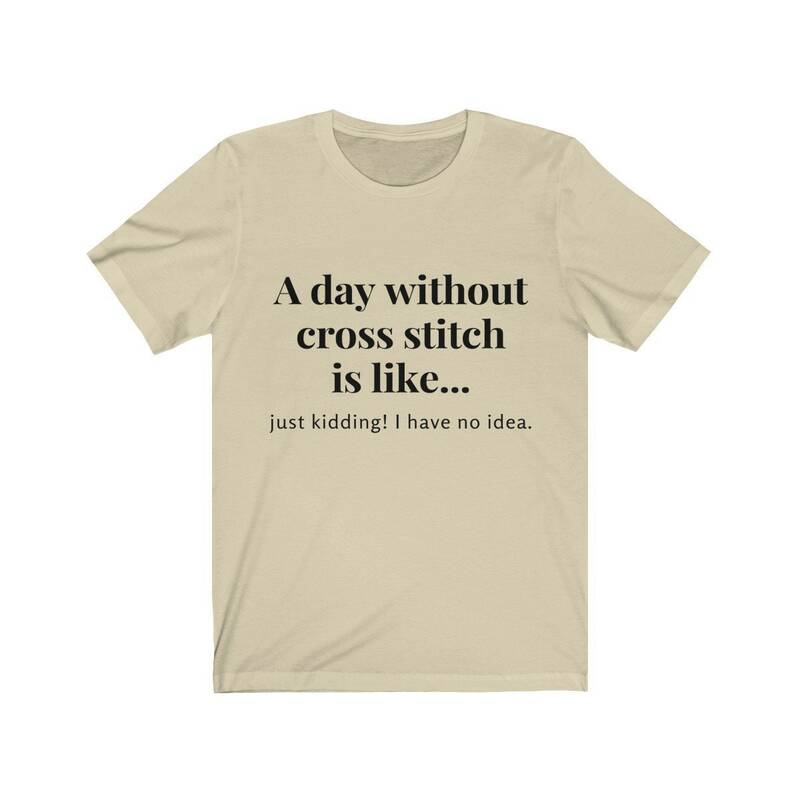 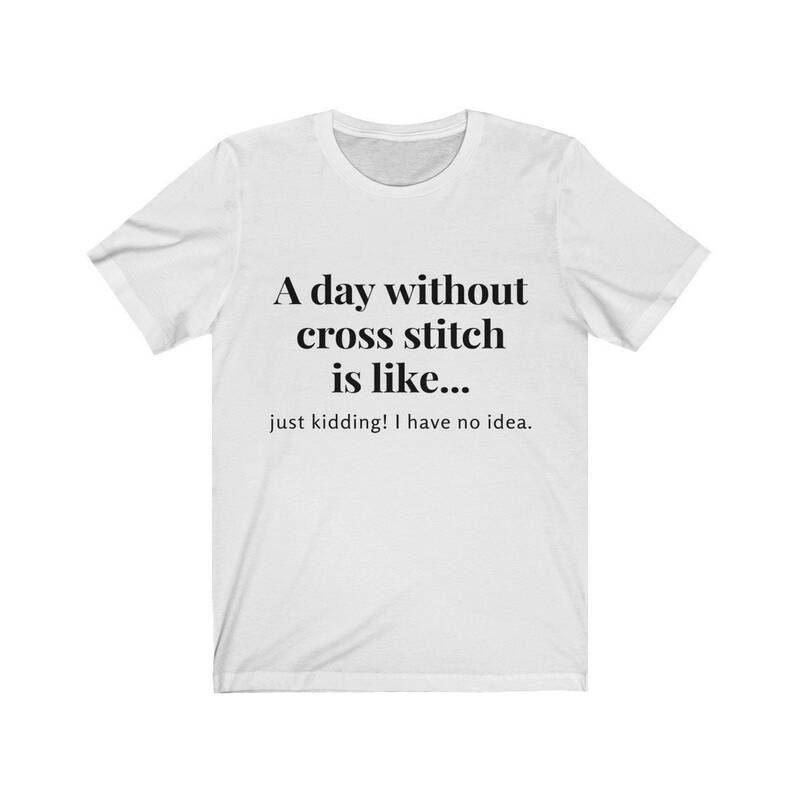 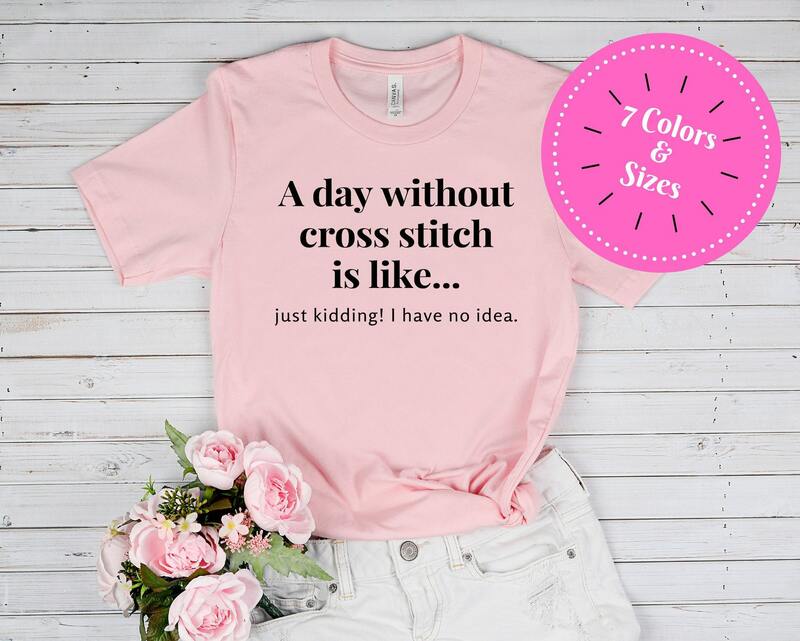 If you can't imagine a day without cross stitch, then this shirt's for you! 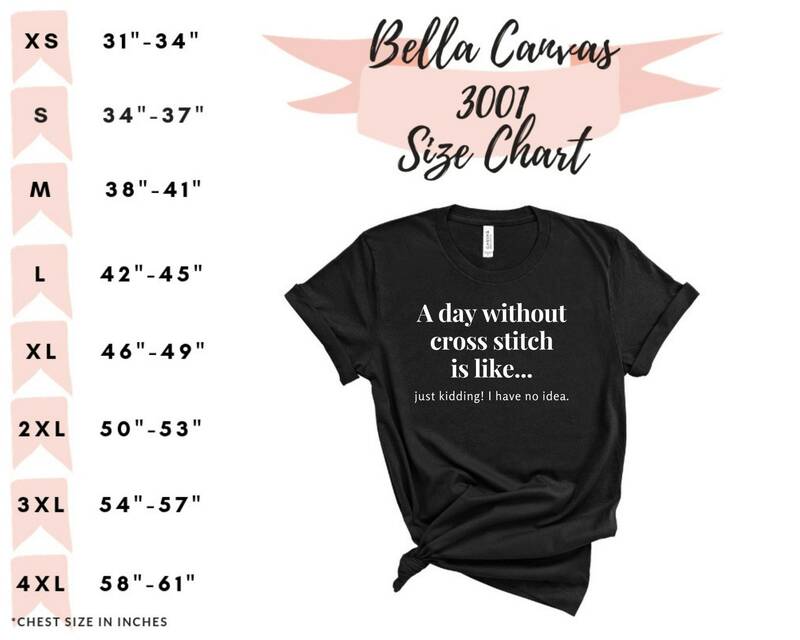 Available in a variety of colors and sizes (including plus size), this updated clothing essential fits like a well-loved favorite. Super soft cotton and excellent quality print guarantees this will become a go-to wardrobe staple.